Are you looking to boost your home’s market value? A lot of residence in the U.S. are considering selling their homes, and we can help you sell for higher prices. When you’re planning to go on the market, one of the most important aspects to look into is the benefits of renovation. Some fixes are absolutely necessary and aren’t going to help the value of the price, merely preserve it. Others are flashy additions but don’t always bring value as you might expect. However, a new door can increase the price of your home and this blog post will explain how. 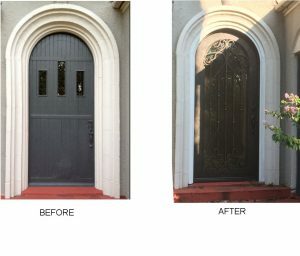 Southern Front wants to ensure that you get the best out of your doors, and we know that goes beyond just making good doors. Why Do Dors Increase Market Value? It is a common misconception that luxurious options like new marble countertops or expensive chandeliers can increase the valued price of your home. In fact, many homeowners often overlook some of the areas that really can make your money back. In this game, its all about having a good return on investment. You’ll want to make sure that your expenses will pay themselves back in the future. For example, one detail that is sure to help increase the value is security. It is a widely known fact that higher protection goes a long way. Some just don’t know how far it can go. A great degree of security will make people feel the value of a home. If you can rest assured that you’re safe, you can appreciate your amenities deeper. What Kind Of Doors Will Be The Best Choice? Ensuring security is why a steel door is a great option. Fiberglass While it may cost you a good amount when you’re looking to sell, it will likely return %100 of your investments back to you. According to the Remodeling 2017 Cost vs. Value Report, Fiberglass can also bring you back on average around 75% of its cost. This is also in part due to the energy savings and low maintenance they require. All of these little details go a long way when it comes to value. You can make your life easier by reducing the minimal maintenance required, and make your life cleaner from the amount of energy you’ll be saving. This will look very enticing to new buyers and can increase the market price by thousands. 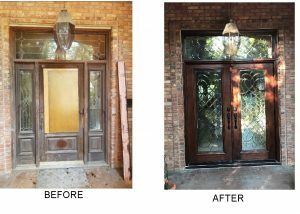 At Southern Front Doors, we want to make sure that you’re getting the best bang for your buck. This includes looking towards the future. Not just in the comfort of the moment but for the comfort and benefit it can provide long-term. For you, or for the next homeowner lucky enough to purchase your property. We aim to find you the perfect combination of quality and cost and increase your house’s market price. 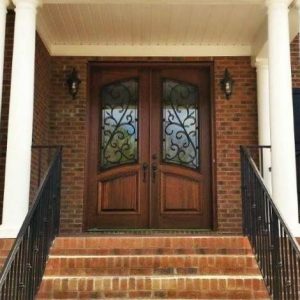 A new door can change the entire outlook of the home, and if its the right kind of door, it can save money, too. Come and see us today, let us help you start your journey to a higher priced home today!